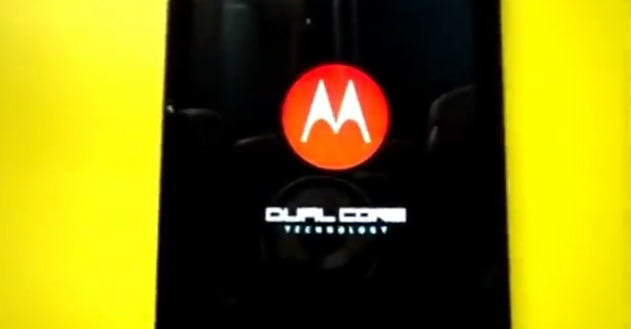 We first reported back in January that the DROIDX2 would have a dual-core processor, so this video which shows the device booting up with the same dual-core startup that we’ve seen on the XOOM and Atrix 4G is pure sweetness to our eyes. Of course, this could just be a placeholder bootup while the device is under development, but we’re crossing our fingers that it’s a sign of things to come. And you’ll probably notice that the DX2 featured here is only running Froyo (Android 2.2) which is a little disappointing, especially with all of the leaks sneaking out for the original DX. We’ll just assume that it’ll have 2.3 at launch…please Moto.